This 2019 Volvo XC90 Premier Plus is extremely clean inside and out. 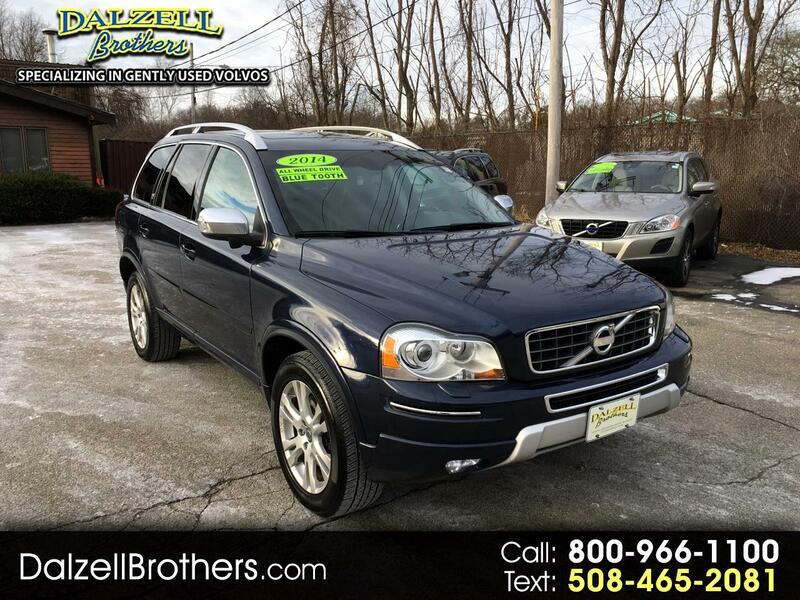 Equipped with active xenon headlamps, LED daytime running lights, Bluetooth, moon roof, heated front seats and hard to find sovereign hide soft leather in chestnut completes this example of the last year, of the original body style, Volvo XC90. Come in today to see and test drive this great looking car! ALL OUR VOLVOS COME FULLY SERVICED AND WITH A WARRANTY. 90 DAY BUMPER TO BUMPER AND 12 MONTH / 15K MILE POWER TRAIN AND WITH 2 KEY/REMOTES A FULL SET OF BOOKS AND FLOOR MATS. Easily over 900.00 in value. Don't Miss Out!! Call TODAY!! 800-966-1100 to verify vehicle availability, options, and pricing. See all of our vehicles at WWW.DALZELLBROTHERS.COM We're very easy to find on Rt. 1 south in Foxboro near Gillette Stadium! Message: Thought you might be interested in this 2014 Volvo XC90.